Faced with doubts (what if he’s a creep—or worse? ), Bailey doesn’t tell Alex she’s moved to his hometown. Or that she’s landed a job at the local tourist trap, the oddball Cavern Palace Museum. Or that she’s being tormented daily by Porter Roth, a smart-alecky yet irritatingly hot museum security guard. 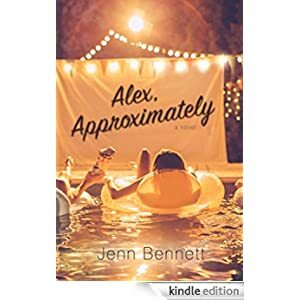 But when Porter and Bailey are locked in the museum overnight, Bailey is forced to choose whether she should cling to a dreamy fantasy in Alex or take a risk on an imperfect reality with Porter. The choice is both simpler and more complicated than she realizes, because Porter Roth is hiding a secret of his own: Porter is Alex. Approximately. This romance is for teens in grades 9-12 and is selling for only $1.99 today.